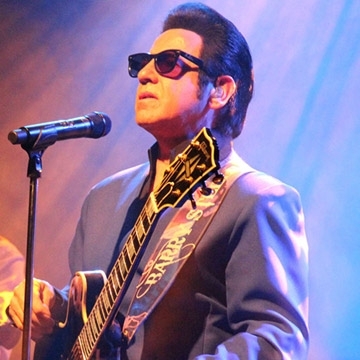 Barry Steele is widely recognised as one of the worlds leading vocalists playing homage to the legendary Roy Orbison. He has stunned audiences across the globe with his uncanny similarity and ability to authentically revive the exquisite toe-tapping sound of this music giant. Not only does the Barry bring the music of The Big O back to the centre stage, the show also features chart busting hits originally performed and made famous by George Harrison, Jerry Lee Lewis, ELO, The Spencer Davis Group, The Traveling Wilburys and of course, the Big O. The show is backed by a big screen and phenomenally talented musicians resulting in an incredible fusion of ‘60s solid gold classics and ‘80s contemporary musical genius all on one stage. It's more than a tribute, It's a story in time!